Brian Sykes is a financial professional with more than 12 years of experience in the financial services industry. 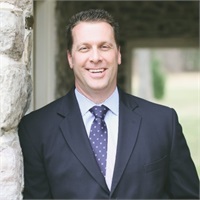 Running his own practice, Founding Capital, LLC, he specializes in providing financial planning and business consulting services, focusing on a holistic approach that addresses clients’ entire financial pictures, from their current circumstances to their long-term goals. His clients include individuals, families, executives, and owners of closely held businesses. Wherever they are in life or the financial planning process, he believes it is critical to educate clients on their opportunities and explain the reasoning behind his recommendations. By doing so, he strives to help clients feel confident in their future and more empowered to make decisions and take an active role in their financial strategies. Brian originally started his career in the mechanical engineering industry. Inspired by his financial advisor’s passion for helping people with their finances, he transitioned careers and became a financial advisor, working with the very same firm of which he was a client, Independence Planning Group. Brian believes extensive financial education is the cornerstone for a strong advisor. He holds FINRA Series 6, 7, 63, and 65 securities registrations and his life and health insurance licenses. As a CERTIFIED FINANCIAL PLANNER™ professional and Chartered Financial Consultant®, he has extensive knowledge in comprehensive financial planning. He received his Bachelor of Science in Mechanical Engineering from University of Pittsburgh, and his Master of Science in Systems Engineering from Pennsylvania State University Great Valley Graduate Center. Brian’s commitment to education extends beyond his own credentials. He frequently hosts educational webinars and workshops for clients on a wide array of financial topics, from retirement income planning to economic concepts. Outside of the office, Brian spends much of his time with his wife and three children. He is active in his church and community, and has a passion for coaching youth football. He also enjoys reading about history, staying active with fitness, and relaxing at the beach.